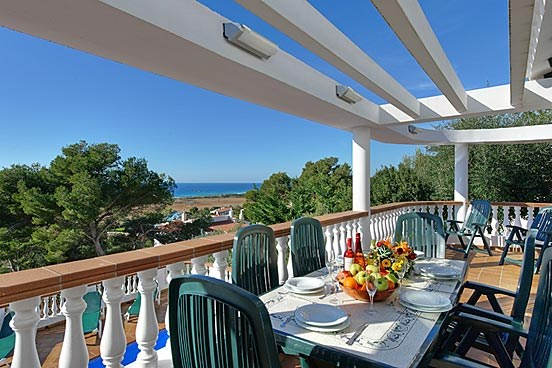 This magnificent detached villa is situated just 500m away from the famous white sands of the Son Bou Beach. 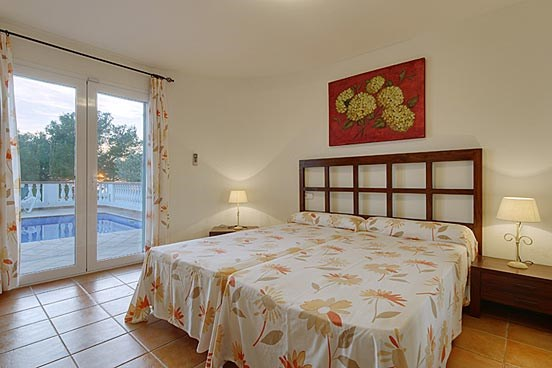 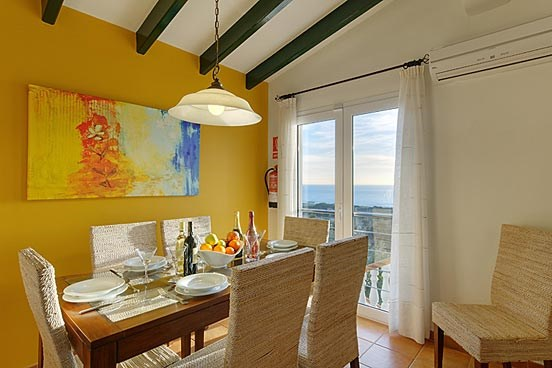 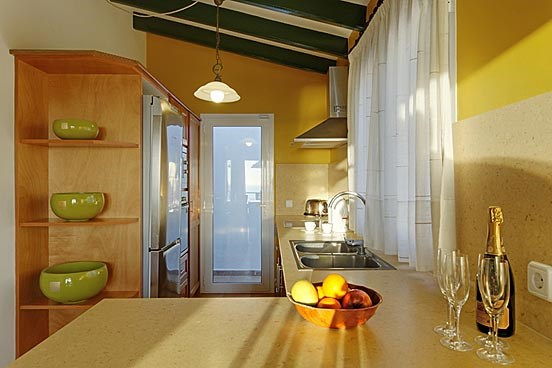 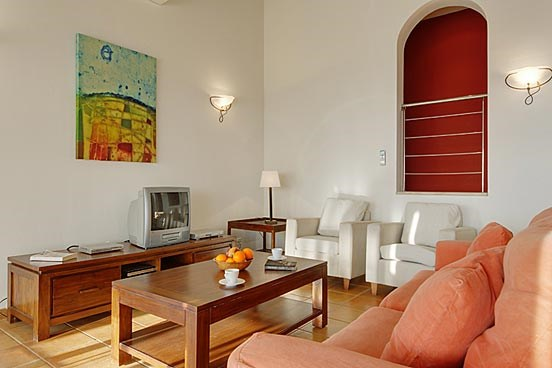 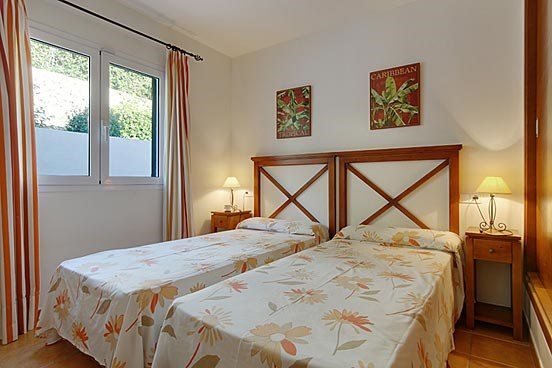 It is very comfortably furnished in a modern style and is well equipped throughout. 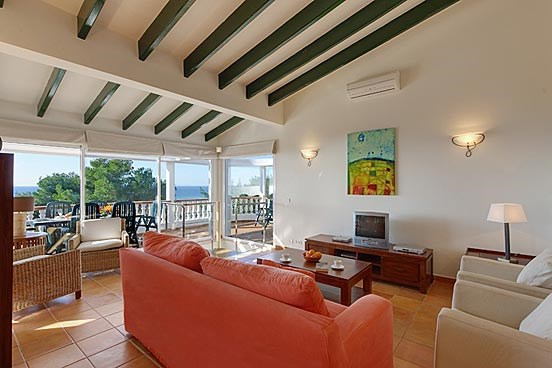 The villa's elevated position offers wonderful panoramic sea and costal views. 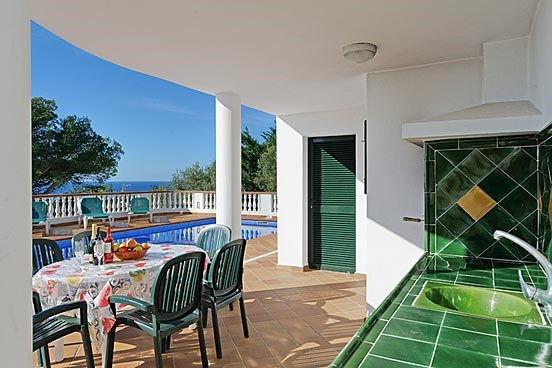 The layout of the villa allows you to soak up the views from the living room and while away the days sitting on the large upper terrace or lazing around the pool.